I know, that's what I am worried about. 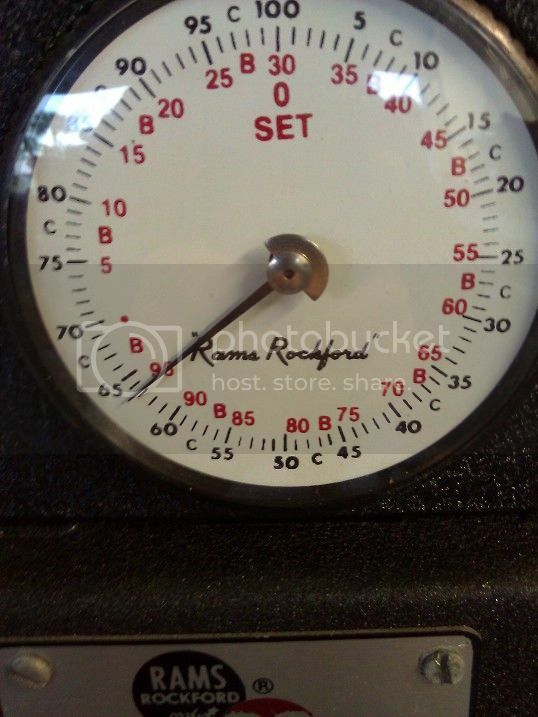 I may have to do a second temper at 450 if it comes in too high. 400 usually drops me 2 points, so I may just have to change my method if this is consistent. I will post the results after its done. And I may just pass this one around, as it is my revised bushcrafter. Subtle changes make big differences, and I would be curious to see what everyone thought of this new blade. 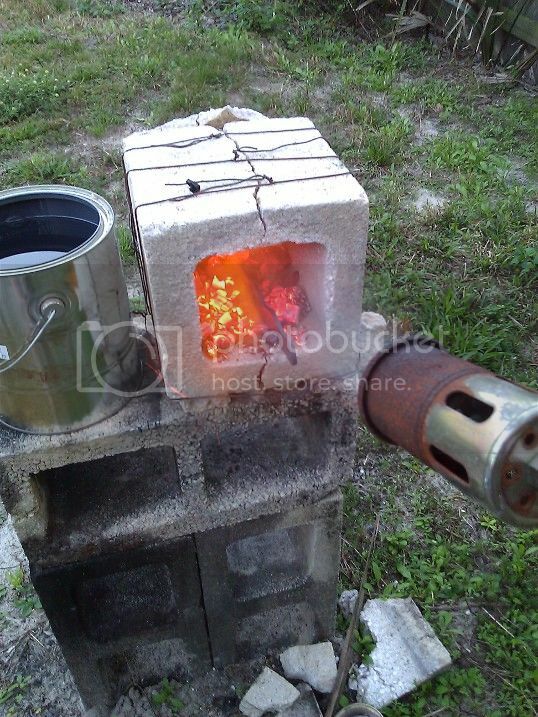 Maybe you're getting some extra carbon from the wood charcoal.....I've read that it's a possibility. Will you draw back the temper on the spine? Might help with a blade that hard. I have read that as well, but I never put much stock in it. Until now, that is lol! I defer to you the expert. I think two tempers would be better then one? The second would not change the hardness but stabilized the steel. Am I wrong? AM I WRONG? Some raw language, but I couldn't resist.......delete if you have to, Red. Sounds like me when I'm drunk... well like all the time... Put in a big fart and all my friends and family will understand. Seems like you nailed the heat treat. I personally don't go for the absorption of carbon idea. While carbon is present in so many things, the carbon present in knife steel composition is different from the carbon in used motor oil that is used as a quenchant, different from the carbon in charcoal, etc. If you could actually add (or change) the amount of carbon in the steel, you'd never be able to get it heat treated because you'd never know how much was "actually there" and it would be a new hybrid every time. Granted this is all just my opinion from the research I've been doing (trying to learn as much as I can) but what I think occurred is the dynamics of your HT procedure changed enough to alter the transference process, albeit in a good way. Regardless, I think it's awesome! It will be cool to see if you can duplicate it again next time, which I'm sure you're already thinking about!! Since the target as-quenched Rc is 64 for O-1, you couldn't be any closer and your HT is better...all very cool!!!!!!! I also am interested in if this can be repeated. It is cool. I for one hope you can repeat it. And.... it's threads like this that convince me I have no idea what I'm doing yet! I have a theory as well Dano. I think what happened was the charcoal burned up the excess oxygen in the chamber, allowing for a more consistent temperature throughout the blade. That torch I use gets upwards of 3000 degrees, so getting hot isn't a problem. Keeping the steel uniformly hot, that is another story I have actually done a LOT of research on how steel was made in the old days (Viking's etc..) and in order to actually ADD carbon to steel, you have to add it to the raw iron. Great program! Watched it on Netflix a while back. Fascinating! Watched the vid - awesome! Confusing thing is that the heat treat using these old methods is no where near the science it seem to be these days. Makes it kind of confusing for newbies like myself. Some people seem to take it pretty lax, others seem to really get scientific. It all depends on the steel. Carbon steels are far more forgiving than the newer modern steels. I thought we had already pointed this program out some time back. It may have been in the form of a 'heads up' warning when it was shown on the NatGeo channel, so I have seen it before. It was really enjoyable viewing it again & it makes me wonder what a bladesmith would need to charge a customer for an Ulfbehrt today? Based on how much work I saw him put into that sword, (mind you, they never showed the hilt, handle or pommel construction) I wouldn't commit to a project like that for less than $6000. That would be close to what I had imagined. The viking sword documentary was a great one! I watched it on Netflix a while back. Pretty interesting about the counterfeit ulfbert swords. I was always worried about using o1 because I always heard it was to difficult to heat treat with "home" heat treat methods. Your video has me ordering some o1 now. 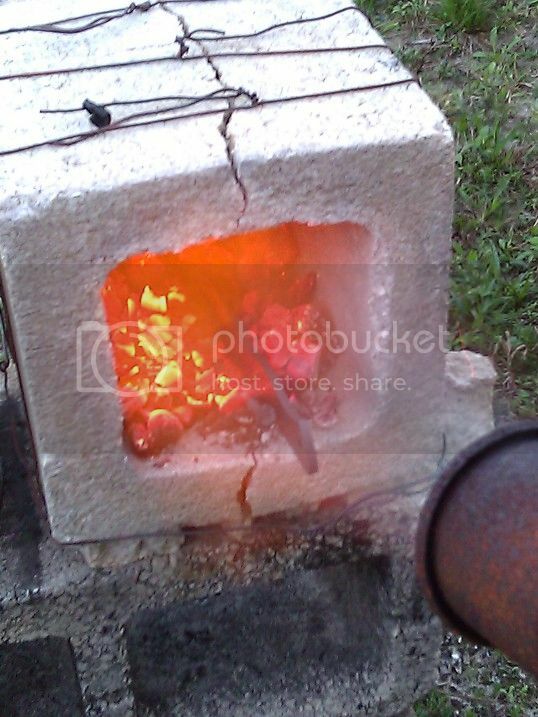 I have a coffee can forge with a forge burner I built from plans online. You can see it on my YouTube channel, MrTrevorm72. What are you quenching your blades in? Thanks for the video. From my research about HT so far, where you gain in using O-1 over some of the lesser of the carbon steels, comes from the soak time at critical temp. BUT ONLY if you can accurately monitor and control the temp while it soaks. Allow it to go too far over temp and you risk losing carbon content, too far under and it won't hit the proper as-quenched hardness, as with any other steel. But soak it at the right temp for the right time, and you'll have a better finished product over the other carbon steels, same things considered. That's why if you can't accurately monitor and control the temp, you might as well save money and just use something like 1084 or 1095. Especially if a person is only using a magnet to check prior to quenching. I am primarily using files and rasps right now and I have the heat treat pretty much dialed in for those. I have used 1084 also and I feel confident in the heat treat method I use as well. However, I do not know the temperatures I am reaching in my forge. And soak time in theory sounds easy enough but I would hate to overheat the steel. I do soak the 1084 for a couple of minutes after I test for non-magnetic and have had good results in the durability testing I have done. Red made it look so easy. I am quenching in mineral oil, pre heated to roughly 150F. Actually, it is common to add carbon to steel after it has been formed and machined. The process is called Carburizing (NOT carbonizing) and it is done in a sealed-chamber furnace. A carbon rich gas, like CO and CO2 is added to the chamber and the steel is allowed to soak at about 1700F for MANY hours. The carbon potential in the gas must exceed the carbon in the steel for the carbon to diffuse into the steel. Carbon diffuses in steel at about .010" per hour so if you want to develop a high carbon "case" on a low carbon steel, you need to hold it 1 hour for each .010" of hard case you need. After the case has been developed to the desired depth, the parts are oil quenched in a second internal chamber before being exposed to the air. This process is applied to bearings, pins, gears, splines, etc where a tough low-carbon steel is used to make the part and it is carburized to improve wear resistance. It is often followed by cryogenic treatment and a double temper. I have skipped a LOT of the technical details so please don't think this is something that can easily be done in the back yard. As for the improvement in the blade hardness, it could be a slightly higher temperature or longer time that dissolved the iron carbides more than normal putting the carbon from the carbides into the iron matrix and gave it a boost in as-quenched hardness. First of all Red, I have enjoyed looking at your pictures, reading your posts and watching the videos you have here. They are time consuming and you have gone above and beyond to show folks your methods and share your knowledge. Big thumbs up to you. Quench........I don't know your background, but metallurgy has played a part in there somewhere (I believe.) Thank you for sharing your knowledge and experience. This is quickly becoming one of my favorite sites! Which is exactly how Jpn sword makers rediscovered their craft, by scientific evaluation combined with traditional experimentation because by the end of WW2 much of the unbroken master to student knowledge was lost. Great job Red, on a whim, a " crazy idea" you got a great result. That's cool. Have you repeated it yet? That's interesting PW. I wonder if using pine charcoal carburizes much the same way, on the surface? Perhaps Unknown has a link to or can recommend some reading material on the scientific evaluations done after WWII by the Japanese. It would be a great read! And to see how much detail is there or whether I am recalling a different source, likely both instances, but that book covers it to some degree. Maybe you can find some details on Iwasaki, seems like he may have been one who did many of the investigations into tamahagane- sorry I'm a bit rusty on many of the details. Liquid and powder forms of hardening compounds have been around for 50+ years. Years ago, they were poisonous but worked great. All except the being dead part. Yes, they do work but they still must obey the laws of physics. Alloy elements like carbon, nitrogen, chromium, etc., have diffusion coefficients based upon atomic size. Carbon diffuses faster than chromium for example. Notice the ads state that the Brownell's compound is a SURFACE HARDENING TREATMENT. You might get a few thousandths of hardened case. In other words, you will grind it all off when you sharpen it. Sorry, no free lunch today. 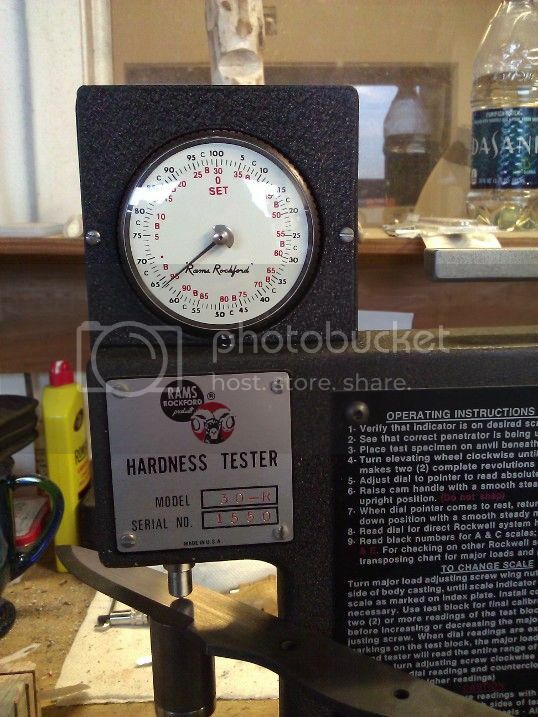 What about the case hardening inside the crucible they sell? Same deal? If you find that text Unknown, please give a holler. Yes, rice straw ash was also used. After the quench the blade was thrust into the bucket of ash for several hours before tempering. Interesting stuff. I had guessed that he powders were surface hardeners Quench, I was curious about the pine charcoal. I would guess that much like the powder it can't penetrate very deep......but that's just a guess. The carbon doesn't know where it came from: Bone, leather, Carbon Monoxide, whatever. Once it is in the steel, it diffuses at about the same rate. To get a deeper case, you have to hold it at heat longer. Typical GAS carburizing may take 24 hours at 1700F to get a case depth of .125". The greater the difference in carbon potential, the faster it will diffuse into the steel. I would expect carburizing with charred bone to work faster but you cannot expect it to go throughout the entire blade. it talks briefly about adding and removing carbon to get a more even C content. To add carbon it says they stack layers of charcoal and low carbon steel. There's no details on how long or exactly how they burn this pile. The straw ash acts as a binder to keep the bellows from blowing away the powdered charcoal they use to line the bottom of the forge when burning C off. In the case it describes a stack of steel with charcoal on top with a lot of bellows action. That's my chopped up summary at least. Not a great deal of detail about the methods employed by the "lost generation" either in rediscovery. Basically rather than keeping secrets, they worked together and used modern metallurgy and steel production to inform their experiments. This is all good information. I was interested in the charcoal method as used by sword and knife makers of old because over thousands of years of trial and error charcoal seems to have produced the best results. The available carbon in the charcoal as apposed to other materials had to have been superior being the choice still, of blade smith masters today. All......very interesting stuff.